The Martin J. Whitman School of Management, South Side Innovation Center (SSIC) and WISE Women’s Business Center (WISE WBC) have partnered with Vera House Inc., a comprehensive domestic and sexual violence service agency, to reach out and support domestic violence survivors in a successful community alliance. Through this collaboration, called Project Phoenix, Whitman has reached out to empower marginalized populations, including victims of domestic violence, by advocating and supporting them in pursuing entrepreneurship. 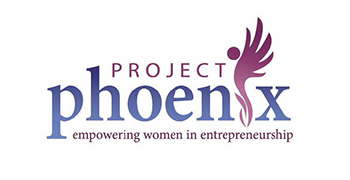 Most recently, Project Phoenix has received a $50,000 grant from Verizon Wireless to continue its services to provide domestic violence survivors with the necessary entrepreneurship tools to start fresh. Project Phoenix clients participate in over 75 hours of business development classes as well as one-on-one business counseling meetings aimed at the development of sustainable business plans. They also attend networking events, women’s conferences and workshops, and work closely with an advocate. Since the program’s inception in 2012, 37 women have formally enrolled in the program and begun working on business plans, and 25 clients remain active and have started a business or are continuing to work on their business plan. Upon completion of a business plan, 87 percent of individuals were successful in receiving additional grant money from Verizon to help cover start-up costs and business development. As a direct result, over two-thirds of those receiving grants are actively running their business.